At Dynamic Training Centre, we believe that a healthy lifestyle and access to proper excercise instruction should be available and to everyone. Fitness is not just for the vain or body-conscious, it is for all. To that end, DTC provides affordable, professional training using state-of-the-art equipment and years of experience.Whether you prefer to train alone, with friends, or in a large group, we have a solution that will leave both your body and wallet happy. I like the centre and clientele I don’t feel awkward. The gym is user friendly and staff is great. For a non gym person this is the perfect place to become one. Staff is excellent. Doesn’t matter your fitness level or size, they help and guide you and nobody makes you feel uncomfortable. 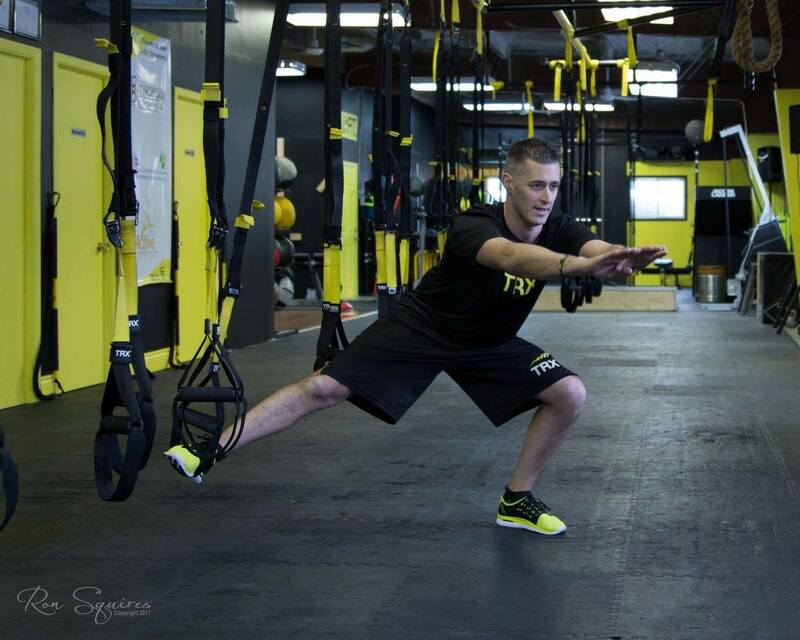 Loving the TRX class! Great instructions and they will.meet you where you are at physically to help you achieve your goals! We believe health and fitness is a privilege every person should have the right and ability to access. We endeavor to always remain financially affordable so that every person, regardless of socioeconomic status, can access fitness in their lives. We have an honest, down-to-earth approach. We are trustworthy and have high expectations for our staff to demonstrate this daily. DTC cares about its family. We support the team dynamic to build and strengthen our relationships and also encourage each individual’s success. We want to support each other to do well in and out of the gym. You have to love and believe in what you do. We are committed to inspiring and motivating the community by our raw passion for health and fitness. We employ our staff based on their intrinsic passion for the industry. DTC is a community of people who are all ready, willing, and able to help one another reach their goals. We have fun together, push each other, and make each other better. Period.. Personal Fitness is the foundation of DTC. We are dedicated to the success of a well rounded regime and surpassing personal goals.